Its been just under a month since I did my last photo blog, it is very difficult to wrap my head around what I have done over the last month. So I&apos;m going to give you some numbers, over the last month up to today I have: done 26 different photography related assignments, taken somewhere between 4500-5000 photos, charged 12 batteries, set up 9 light stands, and an estimated 24-28 hours post processing. This blog includes photos from the Outlaw Clay Race at Rockford Speedway, giant chess during shop the block, a landscape of the downtown during Independence day, volleyball at UW Health Sports Factory, face painting at Rockford City Market, Kickball at Davis Park, USSSA fast pitch at Sportscore 1, and a press conference at Rockford Art Deli. 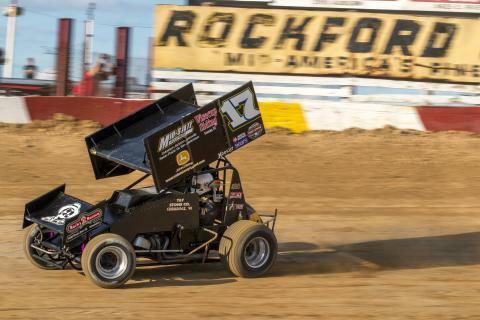 Sprint cars whip around the track during the Outlaw Clay Classic at Rockford Speedway, Wednesday, June 29, 2016. 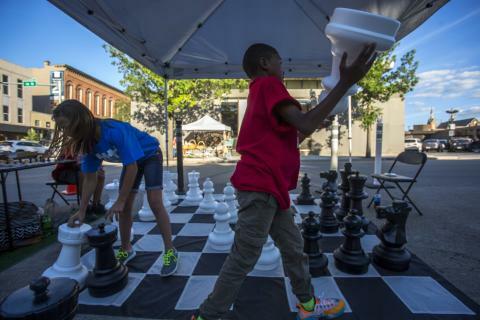 Children are seen playing with enlarged chess pieces during shop the block, Friday, July 1, 2016. 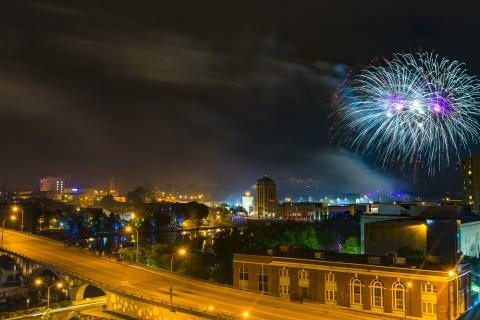 Fireworks go off over Downtown Rockford during the annual Independence Day Festivities, July, 4, 2016. 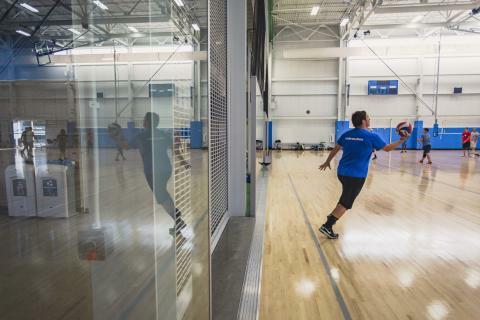 An athlete prepares for his serve during co-ed volleyball at UW Health Sports Factory, July, 5, 2016. 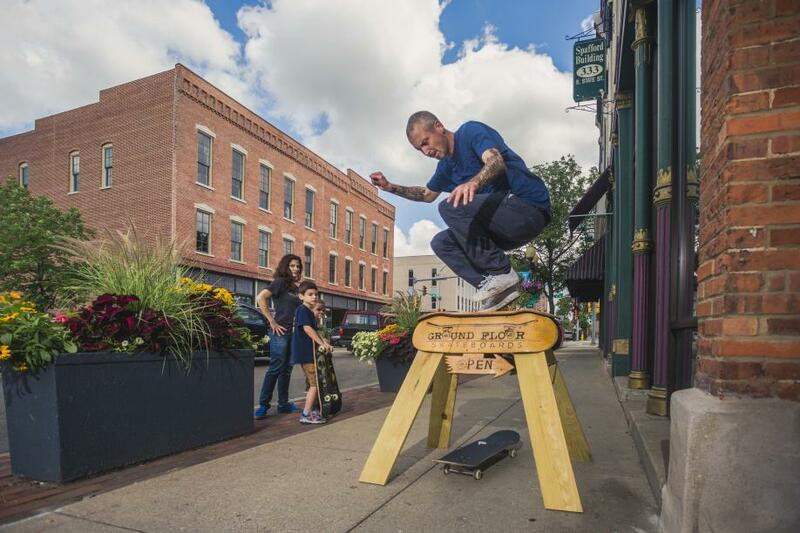 A man is seen getting a palm tree painted on his face during Rockford City Market, Friday, July 15, 2016. 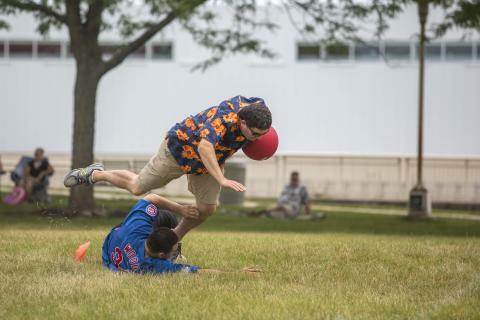 A man tumbles over another teammate during Kicking Ball&apos;s for Mens Cancer at Davis Park in Downtown Rockford, July 17, 2016. 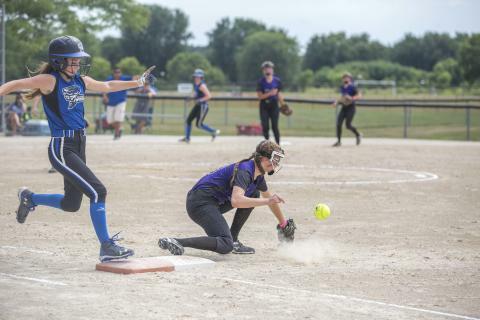 An athlete runs towards 1st base during the USSA Championship, July, 19, 2016. 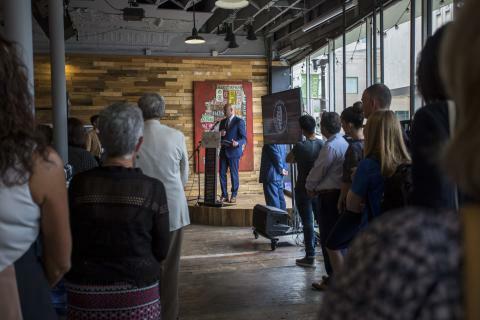 Cory Jobe, of the Illinois office of tourism speaks to the media and local residents about The Rockford Art Deli becoming a official Illinois Made, at Rockford Art Deli in Downtown Rockford, Thursday, July 19, 2016.